Boston rap duo Blak Madeen tap Cali-rap stalwart, West Coast Kam to drop some jewels and kick down the “Industry Doors” on their latest single. The one off single bursts out of the gate with a blistering verse from Al-J, one half of the duo who holds nothing back with tongue-twisting rhymes and impressive breath control. He then passes the mic to his partner-in-rhyme, Yusuf Abdul-Mateen, who kicks knowledge beyond the perceived underground-rap topics of “sports and comic books.” Blak Madeen are joined by living rap legend West Coast Kam, who sounds as confident as ever, with his clever wordplay and slick boasts. And on the musical side, they teamed with frequent collaborator Sicknature (of Snowgoons) to supply the hard hitting Boom bap instrumental, which slaps a bit harder thanks to the cuts from DJ Slipwax. “Industry Doors” represents another strong showing from one of Hip-Hop’s most consistent acts, who last year cemented their status in the game with their well received LP, Supreme Aftermath. 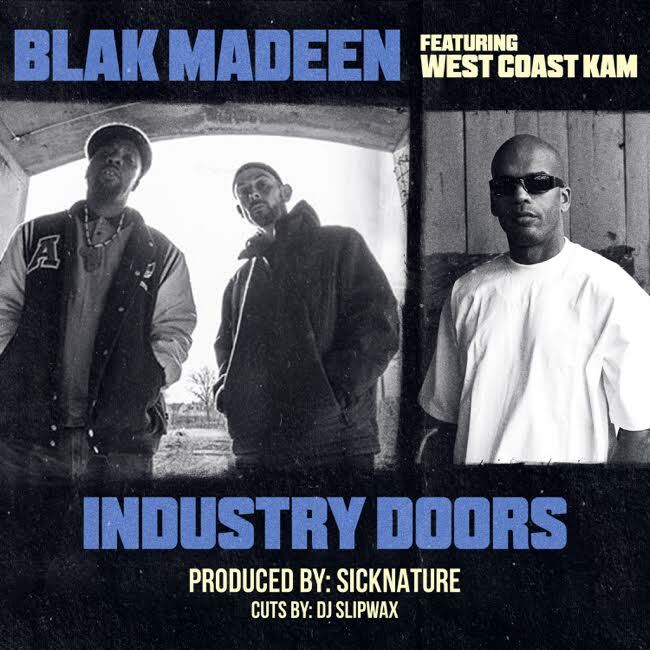 “Industry Doors” is now available through all major digital retailers and streaming outlets via Blak Madeen’s own label, Rhyme Dawah. Man what a week in sports. The Dallas Cowboys lost and Ken knows why. You gotta hear that one. Kevin Durant got burner twitter accounts.